Hristo Botev was a Bulgarian poet and revolutionary. This biography profiles his childhood, life, revolutionary career, achievements and timeline. 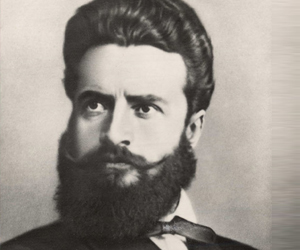 Hristo Botev was a Bulgarian poet and revolutionary who is recognized as an iconic revolutionary amongst the 19th century Post-Liberation intellectuals throughout Bulgaria and the surrounding area. In his home country of Bulgaria he is considered a national hero, as well as a genius and ideologist. From his beginnings as the son of a teacher, to his early death fighting for Bulgarian freedom against the Ottoman Empire, he cemented his place in history in his home country. He was primarily a self-educated man, reading classics from Russian authors, which led to his mastery of the ideas behind Russian democracy. His education, as well as the philosophies passed on to him from his father helped to create the man who inspired others to fight for freedom. After being exiled from his home country, he developed contcts with other prominent Bulgarian nationalists and historical figures, including Vasil Levski, Lyuben Karavelov, Stefan Stambolov and Panayot Hitov. Each of these men played a key role in the fight for Bulgarian freedom. 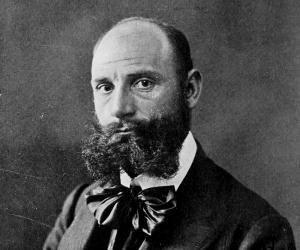 Botev utilized his skill at writing poetry and his work as an editor at several newspapers as a tool to rally the people in his home country to fight against the subjugation of the Ottoman Empire. Born Hristo Botyov Petkov on January 6, 1848, he was the first of seven children born to Botyo Petkov and his wife Ivanka. His father was a teacher and significant contributor during the ‘Bulgarian National Revival’. Through his father’s involvement in the ‘National Revival’, Botev developed a love for freedom which influenced him his entire life and impacted his revolutionary ideology. He received his elementary education in his hometown of Kalofer, Bulgaria. Upon completion of his early studies he was sent to Odessa for high school. He left school in 1865 and taught in Odessa for two years. During this period his ties to the Russian revolutionary movement and his political views began to form. In 1867 he returned to Kalofer to teach in place of his ill father. 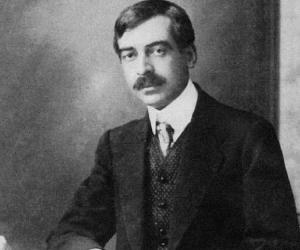 In May he made a public speech against the Ottoman authorities, which led to his exile and move to Romania seeking asylum. His first poem ‘To My Mother’ was published in 1867 in the newspaper ‘Gada’. He continued to write poetry, work as an editor for newspapers, and in 1868 his poem ‘To My Brother’ was published. From 1869 to 1871 he worked as a teacher in Bessarabia while keeping close ties with the revolutionary movement. 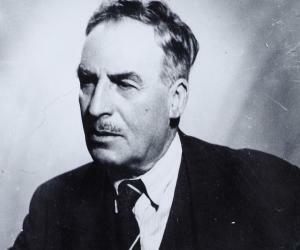 During this period he published several poems, including ‘To My First Love’, and ‘Struggle’. In 1871 he became the editor of the newspaper ‘World of the Bulgarian Emigrants’. Between 1871 and 1873, he was briefly imprisoned because of affiliation with revolutionary leaders. 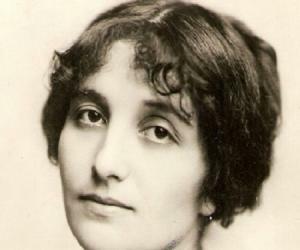 While in prison, he worked for ‘Liberty’, a newspaper edited by revolutionary and fellow Bulgarian writer Lyuben Karavelov. Botev’s friend and insurgency leader Vasil Levski was captured and executed in 1873 by the Ottomans. His death greatly affected those within the revolutionary movement, and led to the rise of Botev’s as military leader. September of 1875 saw the unsuccessful ‘Stara Zagora Uprising’. A few months later in 1876, the rebels organized a group to cross the Danube and take part in another uprising. During May of 1876, the rebel group engaged in multiple skirmishes throughout the Vratza Mountains. On May 20, 1876, an Ottoman sharpshooter hit the leader in the chest, killing him and leaving his men lacking the morale to continue fighting. In 1873 he worked on the satiric newspaper ‘Alarm Clock’ and published political fiction aimed at wealthy Bulgarians. He continued to write poetry with themes such as revolutionary zeal and freedom, with two of his more famous poems being, ‘In the Tavern’ and ‘My Prayer’. 1875 saw the publication of a book titled ‘Songs and Poems’, which reflected the sentiments of poor people filled with revolutionary ideas and the struggle for freedom. In 1875 Botev was elected president of the ‘Bulgarian Central Revolutionary Committee’, which had the task of preparing rebels for future uprisings against Ottoman rule. Since his death, many streets, cities and landmarks have been named after the revolutionary, including ‘Botev Point’, ‘Botev Peak’, and ‘Botevgrad’. May 14, 1961 saw the inauguration of 'Hristo Botev Stadium’, a football stadium in Plovdiv, Bulgaria, and home to the ‘PFC Botev Plovdiv’. Established in 1972, the ‘International Botev Prize’ is an award acknowledging individuals with significant accomplishments in literature. Botev was introduced to the ideologies of Russian revolutionaries at an early age. He was a self-educated man who extensively studied the concepts behind communist ideology. Propaganda of the latter half of the 20th century painted him as a pioneer specifically because of his ties to communism. In 1875 he married a widow, Veneta Vezireva who had a son from her earlier marriage. On April 13, 1876, she gave birth to his only child, a daughter named Ivanka. Each year at noon on June 2, air raid sirens sound for a full minute in honor of his dedicated fight for Bulgarian freedom. The city of Kalofer, his family home, has a museum dedicated to the national hero, which preserves and displays his personal belongings, as well as works of art and publications.